Is Sport Broken? The Rise and Fall (and Rise?) of a Sporting Heartland. 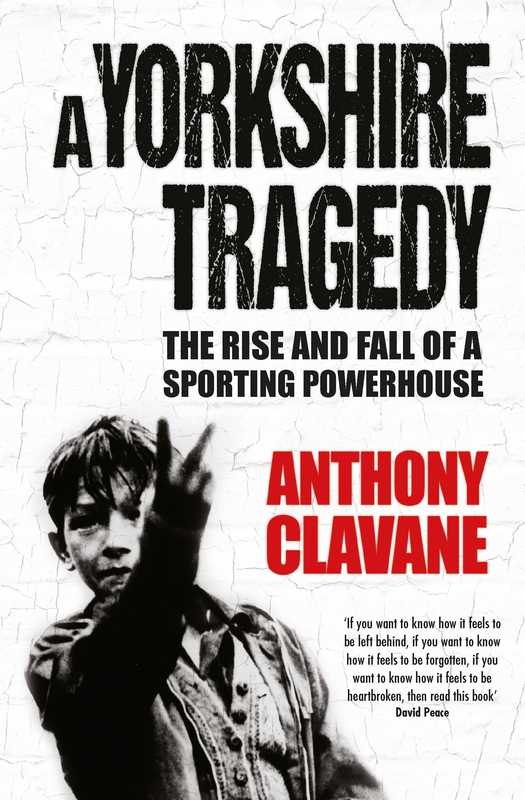 In this presentation, Anthony Clavane, author of ‘A Yorkshire Tragedy’, chosen as one of The Guardian’s top sports books of 2016, argues that community ties and working class culture have been eroded since the decline of heavy industry and the Thatcher revolution of the 1980s. ‘A Yorkshire Tragedy’ is the final part of a trilogy which has examined belonging, identity and the rise and fall of tightly knit communities through the prism of sport. In the past three decades, the gap has widened between rich and poor, haves and have-nots and north and south. The destruction of traditional, mutually self-sustaining, communities, accelerated by a manufacturing collapse which wiped out almost a fifth of Britain’s industrial base and left large swathes of the broad acres trapped in hopelessness, almost put paid to a collectivist culture based on extended family life, warmth and neighbourliness. Sport has become increasingly a product of the market and is no longer something which unites communities or gives talented youngsters opportunities to escape disadvantaged backgrounds. Although a Remainer, Clavane’s journey into Britain’s sporting rustbelt has helped him understand why large parts of the county flicked two fingers up at the EU – as well as London, globalisation and the so-called liberal establishment. Anthony Clavane has been a sports journalist for 20 years. He has covered several World Cups and Olympic Games for the Sunday Mirror. He has won Press Gazette Feature Writer of the Year and BT Regional Sportswriter of the Year awards. He now contributes to The New Statesman, The Guardian and The New European. His first book Promised Land: A Northern Love Story was named both Football Book of the Year and Sports Book of the Year by the National Sporting Club, Sports Book of the Year by The Radio 2 Book Club, and won the award for Football Book of the Year at the 2011 British Sports Book Awards. His second book, Does Your Rabbi Know You’re Here? : The Story of English Football’s Forgotten Tribe was shortlisted for the 2013 British Sports Awards Football Book of the Year and inspired the Four Four Jew exhibition at the Jewish Museum in London. A Yorkshire Tragedy has been critically acclaimed in the press, described as “brilliant” by the Times, “fiercely intelligent” by The Guardian and “essential” by Prospect Magazine. Clavane, A. (2016). A Yorkshire Tragedy: The Rise and Fall of a Sporting Powerhouse. Quercus. Clavane, A. (2013). Does Your Rabbi Know You’re Here? Quercus. Clavane, A. (2011). Promised Land: A Northern Love Story. Quercus. Clavane, A. (2017). The Death of Hope – The decline of heavy industry, the collapse of Yorkshire football and the sad logic of Brexit. The Blizzard Issue 24. Clavane, A. (2017). The decline of the north’s sporting powerhouse. The New Statesman.